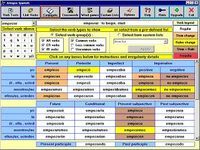 PlCoacher (Personal Language Coacher) for Win9x/2k/XP helps to study foreign languages. It can be used also to study mother tongue. PlCoacher increases the efficiency of work with texts in foreign languages. PlCoacher is based on three main ideas. First of all it works with open and simple file formats. 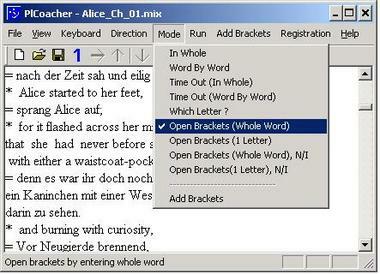 This feature allows choose and prepare any text you like to work with. Second idea is to individualize the educational process by marking the most difficult for you places in the text and more intensive work with these places. 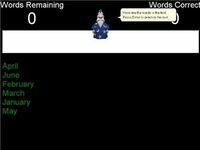 The third idea of PlCoacher is that it saves your time on the base of iterative viewing of the texts. Implementation of these three ideas makes PlCoacher simple and effective tool that facilitates the process of studying languages. This program is not intended to provide you with linguistic texts, but it provides you with the tools to work with texts. With the help of these tools you can: 1) read and study texts in foreign languages; 2) work over language grammar; 3) improve your vocabulary; 4) chose any text you like to work with, prepare and view it using PlCoacher functionality; 5) work over direct interpretation of the text in foreign language (interpretation from foreign language into mother tongue); 6) work over back interpretation of the text in foreign language (interpretation from mother tongue into foreign language); 7) find out the most difficult for you places in foreign language text and to work with these places more thoroughly and intensively. 8) learn texts by hart; The program can be interesting for different people. It can help to people, who need to acquire or repeat the very base knowledge of foreign language. It can provide linguists with the tool that will permit to improve their already fundamental professional knowledge. It can be used by teachers in the process of preparation of their students.